The Southern Alps offer keen road cyclists big mountains, epic climbs and stunning views. From the valley bottoms, you will be amazed to see where the winding mountain roads, towards the peaks towering above, can take you. Surrounded by panoramic alpine scenery, on a Bike Weekender break in the Southern Alps, you can bag a collection of classic cols including the Col du Galibier, Col d’Izoard, and Col du Glandon. 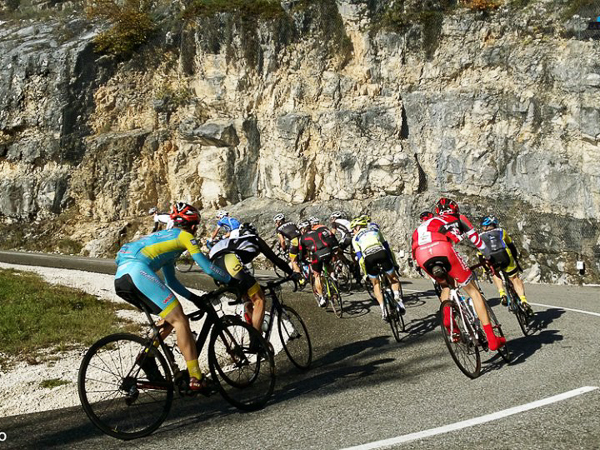 It’s a Tour de France playground of epic proportions. Are you ready for a challenge? The terrain means there are fewer loop rides than in the Northern Alps, but the long climbs will take you to spectacular summits and cols, where the views across to the Glaciers of the Meije or the snow-capped peaks of the Berande valley are an amazing reward for all the hard work getting up there on the bike. And any trip to this cycling-mad region would not be complete without pitting yourself against the legendary Alpe d’Huez… all 21 hairpins of it! 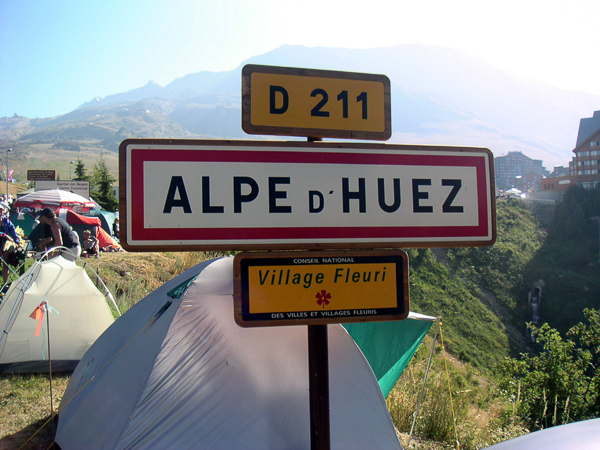 This area is an abolsute mecca for cyclists; the fame of Alpe d’Huez draws in cyclists from all over the world looking to tackle the abundance of big name Tour de France cols and climbs in this region. During the summer months there’s a real cycling frenzy about the place – it’s one of only a few areas worldwide where road cycling really is the number one draw for summer visitors. There’s so much riding to be done in this area that it can be hard to know where to start; this where our local knowledge, from years of exploring and running trips in the area, comes in! We base our trips in either Bourg d’Oisans (at the foot of the Alpe d’Huez climb) or in the pretty mountain village of La Grave (with stunning views across to the Meije glacier). Both of these locations allow for great riding straight from the hotel; with mountains towering above you, steep sided valleys and rocky vistas to the glaciers and snow-capped peaks of La Meije and the Massif des Ecrins, you will have no doubt that you’re in the heart of big Alpine cycling country. When you climb onto your saddle on a cycling holiday in the Southern Alps, know that you’re riding in the well-worn tracks of cycling legends. There’s a reason why the Tour de France regularly cuts a path through these hills. Gruelling climbs are rewarded with epic descents. There are some big climbs here and so choosing the right route is essential. We will plan rides to best suit the ability levels across your group, and we know which quieter roads to take to mix up the challenge and take in the best scenery. During a weekend you could tick off a collection of famous cols such as the Col de Galibier, Col de Glandon, Col d’Izoard and Alpe d’Huez – but you would need strong legs to tackle all of these big climbs of 20km or more. You might particularly appreciate the support of our Classic Packages, where we’ll be with you at every turn of the pedal. An epic weekend of road cycling tackling great climbs in the stunning mountain scenery of the Southern French Alps. Big climbs and tired legs await – but with our careful planning and vehicle support on every ride, we will do our best to make sure everyone reaches the top! Pit yourself against the Col de Glandon, Col de Galibier and Col d’Izoard – plus you’ll have the chance to tackle the epic cycling climb Alpe d’Huez… all 21 hairpins. This Bike Weekender break is packed with big rides and is a great challenge for all keen cyclists! Bring a group of friends (or your entire cycling club) and pit yourself against some of the biggest and toughest climbs that the Alps have to offer. 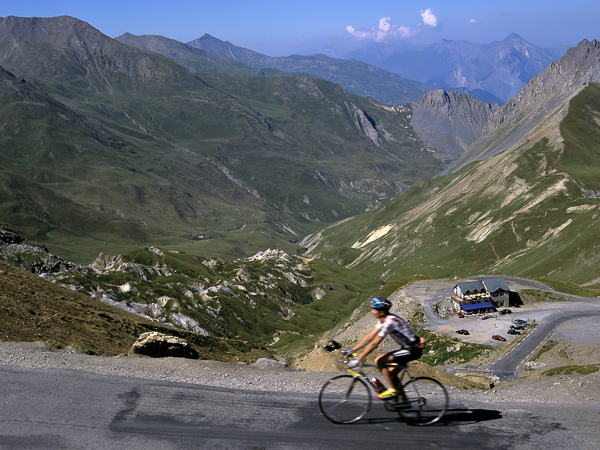 After topping out at over 2600 metres on the Galibier or climbing for over 20km on Izoard or Glandon, just make sure to save enough in the legs for the time-trial up to Alpe D’Huez. Just contact us with details of your group >>> and we’ll get a plan together for you. Looking to Cycle in the Southern French Alps?